India wins Border-Gavaskar Trophy by 2-1 against Australia on 28th March 2017. 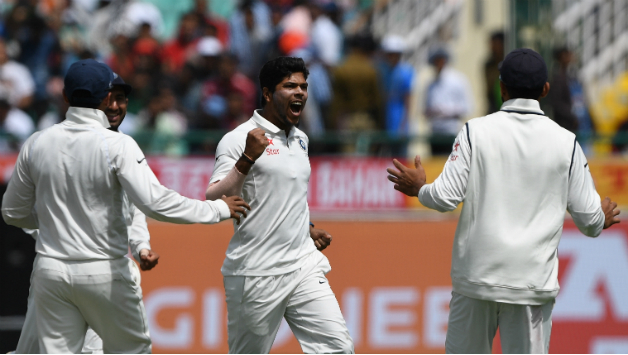 Umesh Yadav, Ravindra Jadeja and Ravichandran Ashwin took three wickets each as India bowled out Australia for 137 runs in their second innings on the third day of the fourth Test at the HPCA Stadium in Dharamsala on Monday and finally KL Rahul and Rahane make leads to comfortable win on 4th day. The Border–Gavaskar Trophy is a Test cricket series, played between India and Australia. It has witnessed some of the most competitive Test series played in recent years, with a number of results being a narrow win for one of the sides or a closely fought draw. The series is named after Australia's Allan Border and India's Sunil Gavaskar, who both scored over 10,000 Test runs in their career and captained their respective teams and were the original world record holders for most runs scored in Test match cricket.